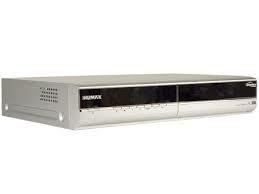 With the Humax DVD recorder gone are the days when you can’t set the video recorder because it is too complex to use. This machine is the size of a DVD player with a hard disk inside so there is no more fiddling around with videotapes or DVDs. No grinding sounds when your DVD is burning either. The Humax records so quietly to itself you won’t even notice that it is switched on let alone recording. The interface is really simple to use too. Using the Freeview digital menu you just select whatever program you want to record using the ‘Ok’ button. The program is then highlighted and the machine knows when to record it and when to stop. If programs are running late normally the machine follows the new schedule and will record the late start and the later finish. Using the find facility you can easily search for programs to record from your favourite series for as far into the future as the software on Humax can see. So if you are organised you will never miss another episode of anything. If someone calls you during the middle of an interesting program you can ‘pause’ live television and then continue playing once you are ready so you won’t miss any dramatic scenes. The added bonus is that once you have paused lived TV your program starts to behave like a recorded one so you can skip over the adverts too using the five or 10-second skipping facility or you can rewind the program backwards up until the point you started recording. Other great facilities include being able to watch one channel whilst recording another. Nothing new there you might say but what about recording two things at once? It even allows you to watch one already recorded program whilst you are recording another. The only flaw in the facilities available to you is that the Humax does not allow you to start watching a program from the beginning that has not finished recording. It can do this when you pause live TV so why can’t it do it ordinarily? The Humax PVR-9200 retails at around £220. 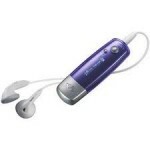 It can store up to 160 hours and the software on the recorder updates itself is and when it is necessary. All you have to do is to find something on the box worth saving.